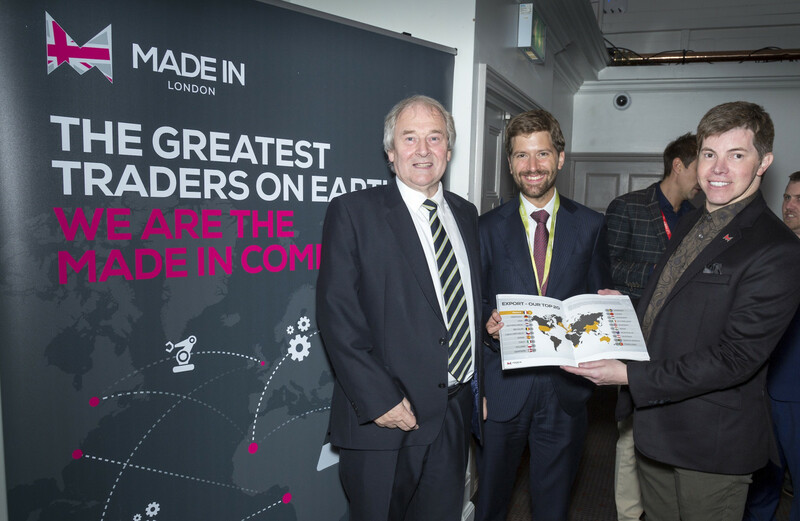 Contrary to national perspectives, members of the Made In Group (MIG) - a 600-strong network encompassing manufacturing companies across the Midlands and Yorkshire - are confident that the next twelve months will be positive for their businesses. Despite the impending split from the EU, the majority of MIG members have expressed confidence in their ability to continue growing their businesses despite any disruption from Brexit. In addition, the majority of members have also said they intend to increase the size of their workforce within the next twelve months. The bullish message is contained within the inaugural Made Report, which has been published to coincide with MIG’s launch of its new London division, Made in London. Derived from member responses to a wide-ranging survey, the new report is an accurate barometer of the current health of manufacturing in both the Midlands and Yorkshire as the country prepares for life after Brexit. Such is the level of engagement within the Made in Group that more than half the membership responded to the survey. The research presented in the report creates a positive picture of the manufacturing sector in the prime regions of the Midlands and Yorkshire. Although somewhat at odds with the national picture, the data captured from the member survey is nevertheless a true representation of their current attitudes towards the future. The SME manufacturing sector does not always have the strongest voice but such was their determination to have their views recognised that 317 members responded to the survey on which the new report is based. That represents well above half of the total membership and the response is an illustration of their desire to make their voice heard. Almost three quarters of those responding are confident of continued growth and linked to this, well above 80% of the membership is expecting to see an increase in turnover during the next twelve months. In anticipation of this growth, 75% of members have said they are planning on seeking investment to extend the physical capacity of their business, either through upgrades to machinery, skills or new, larger premises. Members confident enough to seek out investment to support their growth ambitions also report success - many of them getting the full funding applied for. With the Government keen to increase the number of firms exporting, MIG members may well be setting the benchmark for the SME manufacturing sector so far as international trade is concerned. Data collected from the survey shows the membership exports to a staggering 127 countries around the world. With the exception of the United States and China, the Top 10 countries exported to is dominated by European countries, which was to be expected. But offering hope to the post-Brexit economy, the international reach also extends to countries outside Europe, spanning India and the Far East, Australasia, Latin America, the Middle East and Africa. Jason Pitt, CEO, Made In Group, said: “Despite the negativity surrounding Brexit, this report presents a positive picture of the UK manufacturing sector with members confident of growth over the next twelve months. “What is encouraging is that in a demonstration of their enterprise, members have gone out into the world and sought out overseas deals themselves rather than rely on any governmental or consultative support. They have simply done what any successful business does and gone where the work is. “Their best practice sets them up as exemplars to a post-Brexit economy in desperate need of direction.